The Scottish Government’s future £600m R100 strategy has come under pressure after a new 2018 report from Audit Scotland, which works to ensure that public money in Scotland is spent correctly, warned that it “will be difficult” to deliver the stated ambition of 100% “superfast broadband” (30Mbps+) coverage by 2021. The good news is that the £400m+ Digital Scotland (DSSB) project with BT (Openreach), which has so far reached an additional 900,000 premises via a mix of Fibre-to-the-Cabinet (FTTC / VDSL2) and a little Fibre-to-the-Premises (FTTP) technology, is confirmed to have achieve its primary targets. “Without public-sector investment, only around two-thirds of premises in Scotland would have access,” said the report. 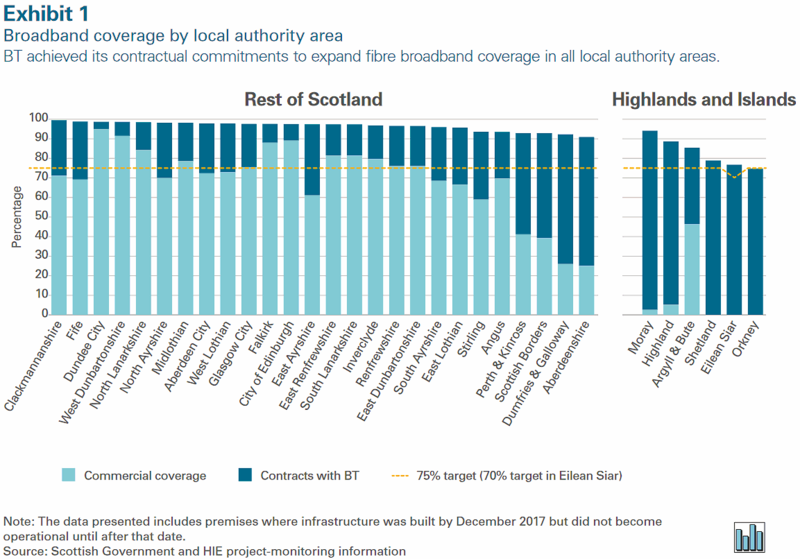 In other words, Audit Scotland confirms that at the end of 2017 some 95% of Scotland had gained access to a “fibre broadband” FTTC/P network (falling to 90% for those able to access superfast speeds of 24Mbps+). Since then we know that the current figure for “superfast” coverage (here) has gone from 90% to around 93-94%. Strong take-up also means that the programme is now expected to reach 60,300 more premises than originally planned, which means that the existing contract(s) will run until September 2019. The report adds that Openreach is “surpassing its contractual commitments to provide speeds of at least 24 Mb/s to 77 percent of premises in the contract areas” (the contract text is private, so this is hard for us to check). Sadly the above chart doesn’t clarify whether it’s only displaying the raw fibre-based network coverage or those regions able to receive “superfast” speeds. You can listen to a brief audio summary of the report below or read on for our summary. The report includes a useful breakdown of how much money has actually been spent, which is something we haven’t seen since the last report in 2016. Audit Scotland states that by March 2018 the programme had resulted in some £259 million of public investment being paid to BT (£149m from the Scottish Government and £110m from the Highlands & Islands Enterprise); £27m less than originally planned. At completion next year it’s forecast that the total expenditure under the existing Digital Scotland contracts will reach £442m. The reason for this is largely because BT also invested £126.1m of its own private money in the original contract and another £20m on a later extension, part of which helped to compensate for some incorrect modelling by the Scottish Government of EU funding. The increased expenditure is due to BT investing £20 million of its own money as a result of extending the contracts and £18 million of additional income from higher than expected take-up [clawback / gainshare]. Under the terms of the contracts, this money is repayable to the Scottish Government and HIE’s investment funds. They decided to use the funds to reinvest in the network. This is partly offset by a reduction in EU funding from £20.5 million to £12 million as a result of the Scottish Government developing its understanding of what elements of the project were eligible for EU support. Speaking of reinvesting public money, the report notes that the Scottish Government and HIE have so far approved a reinvestment of £57.4m. This was earned through a combination of clawback (public money returned due to high take-up), interest accrued on a £20m advance payment made by HIE to BT at the start of the contract and savings made during the deployment phase. This is being used to help BT extend their roll-out (i.e. the additional 60,300 premises). However the Scottish Government has not yet assessed the actual economic benefit of their investment to date, although they have commissioned further analysis and plan to publish this later in 2018. “It is likely to be difficult to distinguish the economic impact arising from public investment in the broadband network from that of broadband installed by commercial operators,” said Audit Scotland. At the start of this year we reported that HIE’s Community Broadband Scotland (CBS) initiative, which provided public funding to help setup new alternative broadband networks in very remote rural areas, was coming to an end (here). Part of that was due to the obvious coming conflict with the new R100 plan, but today’s report also confirms that CBS “did not deliver anticipated benefits” to rural areas. The Scottish Government funded CBS with £7.5m and by the end of March 2018 it had spent £6.4m on support for 63 projects. Overall this only delivered 13 successful projects to reach 1,936 premises, while 13 other projects failed to find suppliers, 35 projects received small grants for feasibility studies but did not progress further, 1 project failed (see the AB Internet story) and 1 other is still seeking a supplier. The CBS scheme also faced various problems with bureaucratic processes (i.e. EU state aid rules and public sector procurement requirements) and the problem of establishing whether or not an area was due to be covered by the existing Digital Scotland deployment via Openreach. 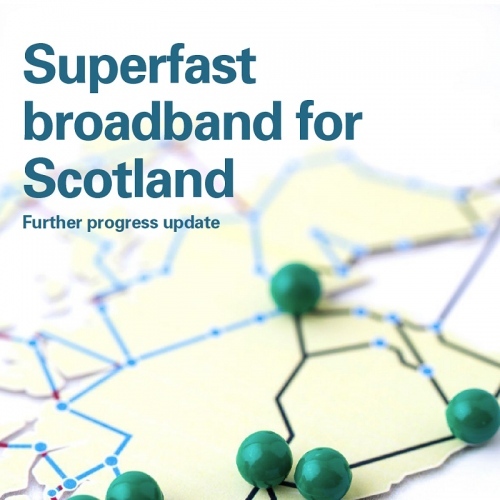 The Scottish Government has now shifted its focus toward the new £600m Reaching 100% (R100) superfast broadband roll-out programme, which raises the definition of “superfast” to 30Mbps+ and aims to achieve universal covered of that by the end of 2021 (here and here); March 2022 as a financial year. Some £21m of this is coming from Broadband Delivery UK. Today’s report states that this investment is aimed at prioritising superfast connections to as many as possible of the estimated 147,000 rural premises not currently receiving at least 24Mbps, which leaves an estimated 64,000 premises (211,000 total) not included; 30,000 of those are urban (the rules make it difficult to use state aid on those) and 34,000 are in rural areas where speeds of 24Mbps+ may already be possible. However the report warns it is “unlikely” that all of the 147,000 premises identified for R100 will be covered and that “further investment” beyond £600m “may be necessary to complete the R100 programme,” although much will depend upon what sort of solutions and suppliers are chosen. The first contract is also seeking to encourage greater use of ultrafast “full fibre” (FTTP) technology. For example, it specifies 11 mandated areas, all in the North lot, where 25% of premises must be able to get speeds of at least 100Mbps. Achieving the overall coverage goal by 2021 could be another problem area. • Contracts will be awarded in early 2019 leaving less than three years for the Scottish Government to deliver its commitments to the most complex premises. • Detailed arrangements for the aligned intervention scheme have still to be finalised, with a project manager only coming into post in summer 2018. Depending on how the scheme operates, it is likely that the process to apply and provide a solution will be lengthy. The above statement is probably glossing over our prior report of a legal dispute between two of the potential suppliers, BT and Axione, which could also be impacting the process (here). Nevertheless Audit Scotland concludes by making several recommendations. • Develop and publish an overall strategy for delivering its world-class vision which includes mapping out and monitoring existing and future digital infrastructure activities, and a realistic timetable with targets for delivery. In fairness the R100 procurement process was always expected to take a long time – not unlike the similar scheme for Wales – which as above is largely down to the sheer complexity of figuring out how to bring superfast broadband to some of the most remote and thus expensive (to reach) parts of the country. On top of that there’s often a gap between political delivery targets and what can actually be delivered, which once again is something that can only be refined by choosing a supplier and agreeing a clear deployment plan. Until that happens we won’t truly know what R100 will be able to produce. Lest we also forget the future potential for some conflict or confusion with the Government’s forthcoming 10Mbps Universal Service Obligation (USO) policy, which is due to be enforced from 2020. In theory any areas designated for an upgrade via R100 may not be able to call on this. IMO, the communication from Digital Scotland has been terrible for those of us on the fringes of the BDUK plan. Digital Scotland plans available to the public map entire areas served by an exchange as fibre available knowing full well FTTC wont reach and only the very lucky few have had FTTP sporadic infill. Because the Digital Scotland plan was vague, Community Broadband Scotland were not able (or willing) to help as even they wouldnt tell us if we’d receive help under BDUK or not. Now all we are told is that R100 will solve it but we all know it wont solve it for everyone. R100 MUST deliver a plan available to the public. R100 have to do this so that those communities struggling to help themselves ( as many mistakenly believe “it” will be sorted by BT eventually) can actually oget the numbers the need to help themselves put alternatives in place. I seriously doubt R100 will publish a useful plan but would loved to proved wrong! Why do they not do those most in need first? 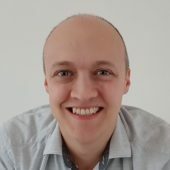 Those who have the crappiest upstream and downstream IP PDU rates and who have to pay a fortune and who have no choice of ISPs – sort them out now. Only suppliers who wholesale to ISPs can be considered otherwise we have a two tier system and small business users get forgotten. Do we really need to spend vast amounts of money so that users who already have 15 Mbps IP PDU downstream can watch 4k tv? Users who are enjoying less than 3k downstream IP PDU rates and 400k upstream have difficulty watching any kind of streaming tv at all and backups to the internet are a nightmare. Do them first and forget the rest for now. Deliver to people in reverse order of IP PDU upstream rate – how’s that for radical. I agree wholeheartedly with the requirement to give people information. 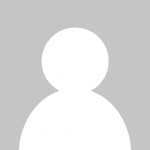 Digital Scotland have been absolutely terrible, giving incorrect information and false hope. It is vitally important that those not covered are told as soon as possible, and not just strung along for years again. Smelled a rat and now I have found it. [quote]Key to this will be a superfast voucher scheme that will deliver a wide range of superfast technologies including fixed wireless, 4G mobile, superfast satellite as well as emerging technologies such as TV White Space. More details on the scheme will follow during 2019. That isn’t even English. A voucher doesn’t deliver anything. Delivering means you have to build. They missed out two words in that sentence – just before the word “this” there needs to be inserted “avoiding doing”. So basically whenever they can’t be bothered they have a get-out clause saying “get satellite”. We could do that right now, that is not ‘reaching’ anyone, by that definition we have all been ‘reached’ already. So is this the deal ? there is no choice of ISP for rural users whenever ‘they’ decide that we do not have the right to the same free choice that urbanites take for granted. There is no definition of what 30Mbps means: is that [i]IP PDU[/i] [i]downstream [/i]rate, sync speed or what. What about upstream? And what about all the other vital aspects of quality and service provision: addressing, protocols, censorship, reliability and maintenance. Some people are running businesses and have clue. This is a poor effort. £259m in payments for 890k premises passed, no structures listed, – £291 per premise passed – less any clawback. So that is everything that could be billed. That bit is clear. The BT £126m ‘investment’ includes 10 years of operational costs, and so we have no examination of the crucial capital contribution to allowable costs. That is a missed opportunity to make that clear one way or the other. All part of the same old superfarce, where fairly urban areas get FTTC and the rest get nothing. Pouring money into obsolete technology so a few can go a bit faster, and statistics can be manipulated to say whatever openreach want to say. I have lost count of the people who tell me they are on ‘superfast’ statistically but get less than 10meg because their lines are too long or faulty. They pay for infinity but don’t get it. @Fastman. You may be correct but there are people who have been moved from ADSL products to FTTC presumably for engineering reasons under BDUK. I am assuming an assessment of speed indicated “no worse service” but it does mean the customer is now paying for the base FTTC product but getting ADSL speeds. This in my view is why FTTC products should be sold as “from to” not “upto”. My frustration is that OR know who they are. FTTP product – the ISP may try to upsell but nothing to do with Openreach. @Gadget. Possibly as presumably the ISP would have provided the VDSL router but OR must have advised that the premise/postcode was suitable for FTTC and ISPs should not be over selling capability above what can be reasonably supported by the line. Fastman, what have you not been paid? I think you cannot count the premise, but all costs are submitted and those costs are divided over the lower number of premises. The same for the overbuild of Virginmedia. So always get paid but do not count the premise.